Looking for Iridology Sydney wide? Naturopath Alex Strand at Express Healing uses Iridology at times to diagnose a patients. There are different tools that naturopaths employ to analyse the iris. 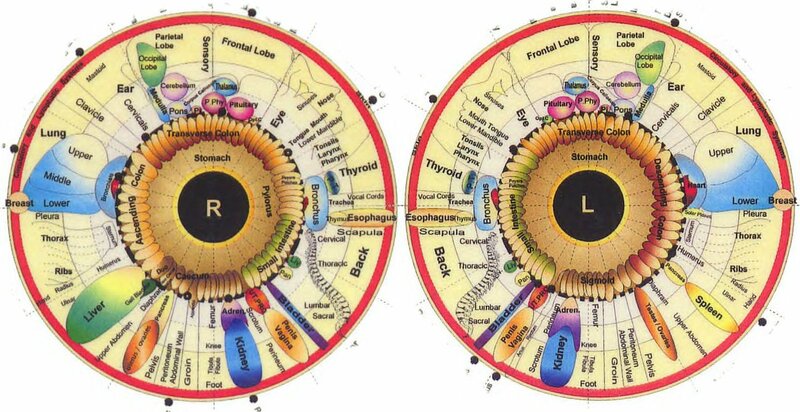 While iridology doesn’t enable naturopaths to diagnose diseases, the iris can be used to identify if a range of different body systems aren’t functioning correctly or are over stressed. There are also various iris signs that can signify if specific health problems are evident. Otherwise referred to as arcus senilis, the cholesterol ring is a frosted white circle which appears in the outer perimeter of the iris. If an individual has a cholesterol ring this often highlights they have high cholesterol levels or genetically have a higher risk of developing heart disease. Health advice for this condition includes regular exercise, weight loss and taking fish oils. Nerve rings are identified as concentric arcs which can be seen anywhere on the iris. These signify if an individual carries stress in their body. The higher the number of nerve rings an individual has, the more stress they are carrying. Epsom salt baths, kava, passion flower, yoga and meditation can help to calm a nervous system that is overactive. Identified as a series of small white or cream beads that appear on the outer iris perimeter. A lymphatic rosary often highlights a sluggish lymphatic system. A pulsating pupil is often an indicator that you could be exhausted and may be suffering from fatigue. If you take vitamin B, along with herbs related to the adrenals this can help you to sleep better. Read more about a recent article written about the study of the iris. Iridology has also proven beneficial to treat Anxiety, Depression, Pain and Fatigue related symptoms. If you’re interested in having a naturopath perform this service, contact Express Healing Sydney iridology today. Our Sydney iridologist Alex has many years’ experience in iris diagnosis.